58. The Orach Chaim Jewish day school (School #299), operating under the auspices of Chief Rabbi Yaakov Dov Bleich, is the oldest of five Jewish day schools in the city. The writer spoke with Khariton Gilgur, a native of Zhytomyr, and the longtime principal of the school. Mr. Gilgur described the mood in the city as one of apprehension and bafflement. The police had only recently emerged from hiding, having been physically assaulted by ordinary citizens who were angered by police corruption and by collaboration with the hated former President Viktor Yanukhovych. Many local officials had left their desks, Mr. Gilgur said, because no one knew who was in charge. However, stated Mr. Gilgur, someone with authority declared that garbage pick-up was no longer a free service provided by the municipality and, clearly, this is the case. The school now is charged for trash removal. 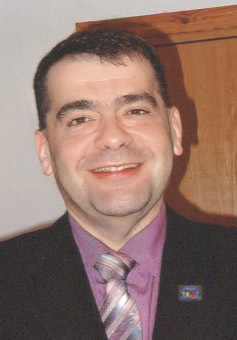 Khariton Gilgur has led School #299 for many years. He fears for its future and also is apprehensive about the future for his own family in contemporary Ukraine. The Jewish studies curriculum now includes eight classes weekly in Jewish tradition and Hebrew, having been reduced in recent years from a significantly heavier program. Parents opposed the emphasis on Jewish studies, preferring that the school focus on secular studies. Compensation of Jewish studies teachers, most of whom are from Israel, for an intensive Jewish curriculum also was an issue. In addition to formal Jewish studies, many pupils also participate in a Shabbaton every year, Mr. Gilgur said. Most graduates of the high school continue their education in local universities and other institutions of higher education, responded Mr. Gilgur to a question. A few boys enroll in yeshivas, some for only a year or two, and some students enter various Israel programs. 59. The Simcha-Chabad Jewish Academy was established in 1992 by Berel Karasik, then a Chabad-associated local leader in Kyiv. The two-building institution is located in the Dniprovskiy district of the city, on the east bank of the Dnipr River. Simcha is affiliated with Tsirei Chabad (Young Chabad), an Israel-based faction of the Chabad movement. The school receives no financial assistance from Ohr Avner, the educational arm of the Chabad-controlled Federation of Jewish Communities. The writer spoke with Rabbi Mordechai Levenhartz, director of Tsirei Chabad programs in Ukraine. Enrollment at Simcha reached a peak of 540 youngsters in 2007-2008, said Rabbi Levenhartz. Current enrollment (2013-2014) is about 300, including approximately 100 children in the Simcha preschool, he stated. However, he continued, he anticipates a substantial drop in the school census in 2014-2015 because families are fleeing the unrest and economic meltdown in Ukraine or, at least, are sending their children out of the country. He knows of eight Simcha families that already have completed arrangements to make aliyah to Israel during the summer, he declared, and others have begun the aliyah process. Additionally, some high school students will join the Na'aleh high school in Israel program, and some graduating 11th graders and recent graduates have applied for the Selah pre-college prepara-tory program in Israel. Israel is a magnet for Simcha families, continued Rabbi Levenhartz because many already have relatives there and Simcha has a long history of guiding youngsters into Na'aleh. Despite a very difficult political and economic environment, Rabbi Mordechai Levenhartz manages a slight smile. He operates a Jewish day school and a welfare service in one of Kyiv's poorer neighborhoods. Everyone in Kyiv is nervous, said Rabbi Levenhartz, because the future is so uncertain. People are afraid. The price of gasoline [for vehicles] has risen 35 percent in the last month, and the cost of all food products also has increased. Unemployment is growing; a friend who manages a travel company specializing in corporate travel fired 77 of his 78 employees recently, and other businesses either are dismissing large numbers of employees or are closing completely. 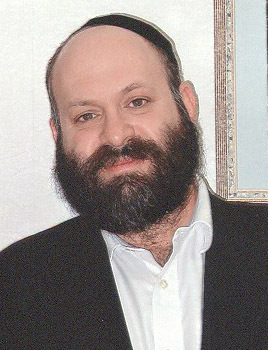 Regarding fundraising for Simcha and his welfare service, Rabbi Levenhartz, an accomplished fundraiser, referred to Kyiv as a "fundraising desert" (пустыня). It is impossible to raise money now, he said, even for forthcoming seders. He downsized the customary Purim celebration, he stated, and things have only deteriorated since then. Banks no longer lend money to them or, for that matter, to anyone else, he declared, echoing others. Further, Kyiv oligarch Vadym Rabynovych just withdrew financial aid for Simcha security arrangements last week - because he is in a dispute with another oligarch donor and will not contribute to any cause that is supported by his adversaries. In response, Rabbi Levenhartz has had to reduce the level of security in and around his school buildings. Notwithstanding all of these difficulties, Rabbi Levenhartz was able to provide Purim gift parcels for 200 elderly Jewish welfare clients, that is, individuals who are attempting to manage on fixed-income low pensions in circumstances of high inflation. He receives some in-kind assistance, he said, from a Jewish deputy on the city council who sometimes manages to find various supplies for Simcha. "Conditions have never been worse," he stated; perhaps things will improve after the next elections if real civil servants are voted into office, he declared. 60. The ORT school was established in 2000 as a lyceum, an elite school with a competitive admissions policy. In common with the Simcha school (see above), the ORT lyceum occupies two separate small buildings. It is located on the east, or less prosperous, side of the Dnipr River in a generally unattractive area of the city. The lyceum currently enrolls 341 youngsters in grades five through 11, an increase over previous years. Most children have some Jewish heritage, but not all are halachically Jewish. Prospective students must complete entrance examinations, according to state law, at the beginning of June for entry the following September. He worries every year, said Principal Yuri Kinkov, about maintaining enrollment as the Jewish population in the city declines, but the school has a good reputation and families want their children to attend. One of the two buildings of the ORT school is at right. All pupils are from middle or lower class families, said Mr. Kinkov. The city provides a lunch subsidy for 92 students from very poor families, for which he is very grateful, Mr. Kinkov declared. The school is unable to provide bus transportation for youngsters, and public transportation also is limited. Although he has attempted to obtain a better, single building for the school for some years, the prospect of doing so in the foreseeable future is very dim. All building transfers must be approved by local politicians, whose own tenure is brief due to current political instability. The situation is especially frustrating, Mr. Kinkov said, because he is aware of several better school buildings in the same area that are only one-third occupied. These buildings have sports facilities and other program spaces that the current premises lack. Youngsters at the ORT lyceum are scheduled for four to six class periods in technology subjects every week, depending on grade level, and five weekly periods of Jewish studies, which includes Hebrew language, Jewish tradition, and Jewish history. The main Jewish studies teacher, an Israeli, is excellent, Mr. Kinkov continued, but, unfortunately, Israeli government policy will force her to return to Israel during the summer because the Israel Ministry of Education limits teacher appointments abroad to three years. The ongoing political and economic crisis creates very tough problems for the school, said Mr. Kinkov. Most school families, he continued, support a strong, sovereign Ukraine and are opposed to Russian intervention; additionally, many have been ad-versely affected by the troubled Ukrainian economy. Mr. Kinkov estimated inflation at 50 percent, taking into account the declining value of the Ukrainian hryvnia vis-a-vis other currencies. Some parents, Mr. Kinkov stated, continue to support the school financially through the provision of office supplies, technology, and security, but he is concerned about their ability to maintain their largesse. He knows that some parents have lost their jobs and that others fear major economic disruptions in their lives. The situation for parents is terrible, terrifying (страшное). Yuri Kinkov, principal of the ORT lyceum in Kyiv, is concerned about the impact of the current political and economic situation in Ukraine on children in his school, their parents, teachers, and custodial staff. Families talk about these issues at home, stated Mr. Kinkov, and their children become worried about the future, both for their families and for themselves individually. They bring these tensions to school, and the teachers try to speak with them calmly and be compassionate. At the same time, he continued, the teachers have their own problems. Some of the teachers, he continued, give their own funds to struggling pupil families or to the janitorial staff when they themselves are having problems making ends meet. 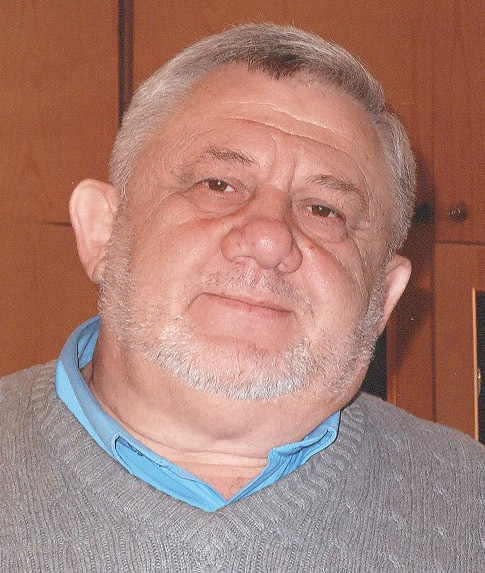 Mr. Kinkov expressed gratitude to the Jewish Agency for Israel and to the Jewish Federation of Metropolitan Chicago for financial assistance to date. The funds supplied, he said, have enabled the lyceum to improve its security, a measure that is greatly appreciated by school parents and by district security officials. Fortunately, he continued, things have been very quiet in the area where the school is located, but it is best to be prepared for any eventuality. He had an additional request, he stated. He would appreciate special funds for supplemental payments to teachers, administrative staff, and custodians because inflation is eroding the value of their salaries; he would like to have about $70,000 to address this problem adequately, he said, but any amount will be helpful. The lyceum also needs money for school lunches and to help staff and pupils pay for transportation to and from school. The four buildings may have been necessary when Rabbi Bleich operated a residential program for boys and girls from unstable homes and/or from distant small towns with deficient local schools. In the face of declining occupancy (due to the decline in Jewish population, especially in peripheral areas) and escalating costs, the dormitories were closed before the 2013-2014 school year and remaining children transferred to a large Jewish children's home in Odesa. One of the two school buildings includes a functioning synagogue and a community dining hall. Schools with lyceum status are not permitted to enroll pupils below grade five. ORT schools frequently enroll some non-Jewish youngsters, especially from families in the school neighbor-hood, for reasons of public/community relations. The Israel Ministry of Education pays the salaries and living expenses of some Israeli teachers of Jewish subjects in some Jewish day schools in the post-Soviet states within the framework of a program known as Hephzibah. However, the tenure of an individual teacher is limited to three years, after which s/he returns to Israel and is replaced by another Israeli teacher. Mr. Kinkov often complains about this rotation policy, which removes teachers after they become comfortable in the school and pupils become attached to them. As he entered his office with the writer, Mr. Kinkov spotted a cleaning lady at work in the hallway and said that he finds it very difficult to face the janitors in the school. They earn so little, he said, that he doesn't understand how they survive. It is embarrassing to him that he is unable to do much about the situation.